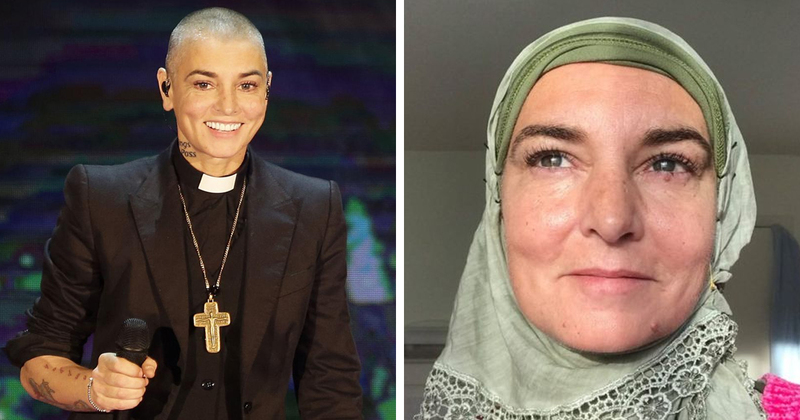 The Irish singer Sinéad O’Connor has announced that she has converted to Islam. The artist, who is best known-for her 1990 hit version of the song Nothing Compares 2 U, has announced the change in faith, and that she has changed her name to Shuhada’. The singer was raised as a Christian, and was in fact ordained as a priest in 1999. Now, in 2018, she has taken the path of a different faith, but claims that the move makes sense, saying that her decision was “the natural conclusion of any intelligent theologian’s journey”. Despite cultural differences, Christianity and Islam have overlap in terms of scripture. Jesus is one of the most-quoted prophets in the Quran, although, crucially, Muslims do not recognize him as the son of God. On Thursday, Irish Imam Shaykh Dr Umar al-Qadri posted a video of the singer reciting the Islamic declaration of faith. She has also uploaded a video of herself singing the adhan, or Islamic call to prayer. This is definitely not the first time O’Connor, who legally changed her name to Magda Davitt last year, has publicly spoken about religion. In 1992, she sparked controversy after ripping up a photograph of the Pope live on US television. Seven years later, she was ordained by a church in Lourdes, although the Catholic Church did not recognize the ceremony, since it does not allow women to be priests. In her pop heydey, O’Connor rose to global fame almost overnight, as her version of the ballad topped charts across the world and spent four weeks at the top of the Billboard Hot 100, earning her three Grammy nominations. Since then, she has had ongoing struggles in her personal life, including chronic mental health problems such as severe depression. She was also embroiled in a public battle with Miley Cyrus, in the wake of the latter’s sexually-charged appearance on the VMA awards. Fellow Islamic convert Yusuf Islam, formerly known as Cat Stevens, quit the music industry after converting to his new faith. However, it seems that Sinead will not follow suit, since she has also revealed that she will be releasing a new album, No Mud No Lotus, in 2019.